When it comes to bodybuilding and building muscle, you don’t need us to tell you exactly how difficult and time consuming the entire process can actually be. People seem to think that in order to build muscle and improve your physique, you simply need to go to the gym, lift weights, and then repeat the process all over again two or three times more during the week. The truth is however, that building muscle and improving your physique is so much harder than just that, and that it requires a great deal of dedication, hard work, knowledge, motivation, and perhaps even stubbornness. Getting your nutrition right is just as important as getting your training right, possibly even more so in fact. Many world class personal trainers and bodybuilders believe that bodybuilding and building muscle is around 40% training, and 60% nutrition. Even if you get your nutrition right, there is only so far that your genetics will take you before you require a little outside help, and that’s where supplements become so beneficial. Make no mistake about it, supplements are no substitute for real wholesome nutritious food, but if you get your training and diet just right, then supplements will give you that little bit extra and could help to pretty drastically improve your physique far better than you could have ever imagined. Here, we’ll be taking a look at the five of the most effective bodybuilding and muscle building supplements. Whey protein – Whey protein should be the go-to supplement for anybody looking to build muscle and improve their physique. When we lift weights, we actually aren’t building muscle at all, we’re destroying muscle, or rather, the tiny fibres contained in our muscles. It’s when we rest that we build muscle, as our bodies rebuild and repair the damaged muscle, even bigger and stronger than they once were. In order to do so however, they need protein and nutrients to do so. Protein is vital for the growth and repair of muscle tissue and the amino acids that it contains are often fondly referred to as the building blocks of muscle. 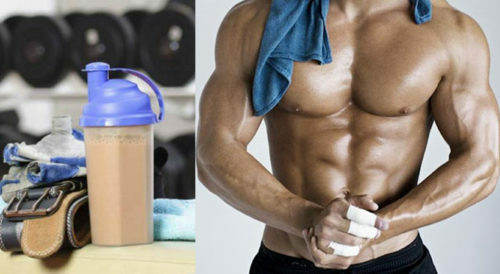 Whey protein is a powdered form of protein that is easily absorbed by the body, allowing it to start repairing and rebuilding damaged muscles almost immediately. One protein shake consisting of two scoops of whey protein, generally contains around 35 grams of protein, which is the optimal amount required by the body. 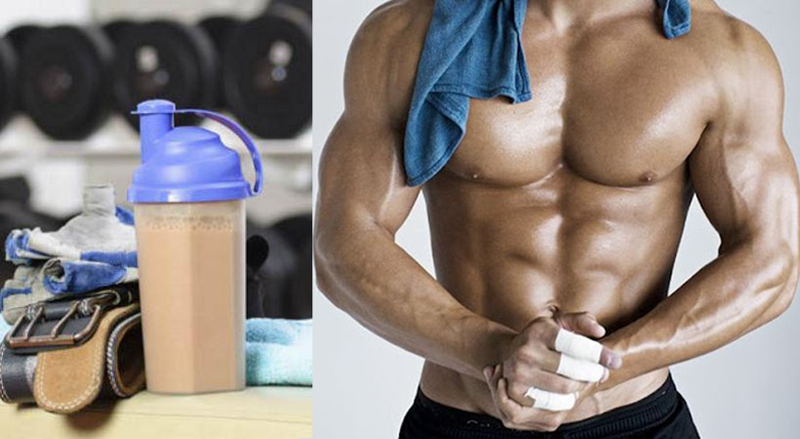 Post-workout, always consume a whey protein shake mixed with water, as the water is absorbed much easier than milk. Creatine – Whey protein is the number one supplement in regards to building muscle, but close behind it is creatine. Creatine works by helping the body to actually produce more energy specifically used by the muscles. This energy is known as Adenosine Triphosphate or ATP for short. As it helps to boost natural energy and ATP stores in the body, this allows the muscles to work for longer, before they begin to tire and fatigue. The longer they can work, obviously, the more productive your workouts will be, and therefore, the more muscle you can build. Creatine also helps to pretty drastically increase your strength levels, as well as your energy and mental focus. Beta Alanine – Beta Alanine is actually stored inside our muscles, or more specifically, the fast twitch muscle fibers inside the actual muscles themselves. It is stored as a compound known as Carnosine however, and it is this compound which works by helping the muscles to contract and tighten during exercise, which is basically how the muscle performs each and every rep. Beta Alanine also works by actually stabilizing the PH levels inside the muscles, helping to keep lactic acid levels low and reduced. Lactic acid is what is formed when the muscles begin to fatigue and it is this acid which causes painful muscle cramps. The less there is, the longer the muscles can exercise before fatiguing, and you get to keep cramps at bay too. Glutamine – Another fantastic muscle building supplement is Glutamine, and essential amino acid which works by providing fuel and energy for the cells inside the muscles. Glutamine also boosts and strengthens the immune system. It works by replenishing glycogen stores inside the muscles, which help to dramatically improve and increase the rate at which the body rebuilds and strengthens the muscles after working out. Simply put, Glutamine is one of the best post-workout recovery amino acids you could possibly wish for. Combine a serving with your post-workout protein shake for the ultimate recovery meal. BCAA’s – Branch chain amino acids, or, BCAA’s for short, are the be-all and end-all for protein synthesis and recovery of the muscles. BCAA’s can be taken and consumed before, during, and after a workout, and can improve your energy levels, your metabolisms, and the rate at which your body recovers. When we consume BCAA’s in food form, such as in protein rich meats, they are first carried to the liver, in which they are processed and broken down to be used either as fuel, or for muscle repair and recovery. This process is time consuming and many of the essential nutrients are actually lost during this process. When we consume BCAA supplements however, they skip the liver altogether, and instead go directly into the muscles, where they can begin rebuilding and strengthening them almost immediately.